Overview Body piercing can be done almost anywhere and in any style. It varies, with multiple hoops up, around and inside the ear, or studs and rings in the tongue, eyebrow, nostril, belly-button or lips. Here is a brief overview of the most popular kinds of piercings. Ear Ear piecing is unlikely to cause infection or damage if you have it done by someone trained in piercing, and if you properly care for your ears. After you have your ears pierced, you must wash the area daily and use a saline solution or triple antibiotic ointment. Rotate the earrings at least twice a day to keep the holes open, but do not force rotation without first applying or soaking the area in warm water. Also, do not remove the earrings for three to four weeks while the skin heals. If you do not follow this procedure, you run the risk of developing Perichondritis. 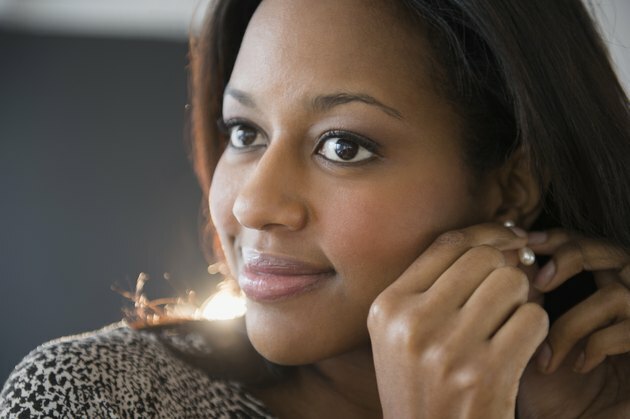 During the first year, wear earrings most of the time. Newly pierced ears will close up quickly during that time period. Also, do not wear dangling earrings while playing sports. They can get caught on clothing or hair and tear the earlobe. Ear lobe piercings take about six to eight weeks to heal. If you pierce other parts of your ear, it will take longer to heal and will not close up as easily. For example, an ear cartilage piercing takes four months to one year to heal completely. Tongue A study in the Journal of Periodontology reported that tongue rings can cause gum recession (requiring a root canal and/or other oral surgeries) and chipped teeth. They also found that tongue piercings may also cause tongue swelling, difficulties with chewing and swallowing, tissue overgrowth and metal hypersensitivity. Also, if you usually take antibiotics for Mitral Valve Prolapse before any dental work, tongue piercing is probably not a good idea for you. If you still decide to get your tongue pierced, you must use non-alcoholic mouthwash two or three times a day after getting your tongue pierced. Alcoholic mouthwash (i.e. Listerine) can burn the pierced area and break down the healing process. Also, avoid oral contact with other persons, alcohol, hot liquids and spicy foods until the area is healed (approximately three weeks). Use ice during the healing process to decrease swelling. After the healing process, always keep your tongue level in your mouth while you eat to avoid biting on the jewelry. Finally, brush your tongue and jewelry each time you brush your teeth. Belly Button Piercing Belly button piercings can take up to five months to heal. Avoid clothes that create friction (i.e. wool) or build up moisture (i.e. polyester). This increases the chance of infection. Before You Pierce There are things you need to know before you get anything pierced. First, get informed. Consider what the Center for Disease Control and Prevention (CDC) has to say about it. According to scientists at the CDC, tattoos and piercings that are not performed by professionals could possibly be linked to the infectious liver disease called Hepatitis C. All piercings should be done by professionals who follow health and safety guidelines that prevent the spread of these diseases. Never pierce yourself or a friend. Do not let a studio with stud guns pierce your body. The Association of Professional Piercers (APP) does not condone this method of piercing (even for earlobes) because the guns cannot be cleaned completely, can cause significant tissue damage and can actually cause jewelry to become embedded in the skin. Piercings are also susceptible to other infections during the healing period. Even if you get pierced by a professional, you must take care of your new piercing to promote healing and prevent infection and permanent skin damage. If you decide to get pierced, avoid cheaper jewelry. Instead, invest in quality jewelry such as surgical stainless steel, 14K gold or titanium. Also, consider wearing only gold jewelry at first. Many people find they are allergic to any other kind of metal. Do not remove your jewelry for any length of time while it is healing, or it will close. After the piercing has toughened, it will not close but shrink if the jewelry is removed. All piercings produce a white discharge during the healing period but this is normal. If the pus turns yellow in color, this may be a symptom of infection. Other symptoms include pain, swelling, inflammation (area feels warm or hot to the touch) and excessive redness. Absolutely, do not remove your jewelry. If the jewelry is removed, the opening of the piercing will close and trap the infection inside. The APP recommends cleaning your ear with packaged, sterile saline solution with no additives, or a non-iodized sea salt mixture. The sea salt mixture can be made easily--just dissolve 1/8 to 1/4 tsp of iodine-free sea salt into 1 cup of warm distilled or bottled water. The APP also recommends washing the piercing with liquid anti-microbial or germicidal soap. Do not use alcohol or petroleum-based products. They can irritate the piercing and trap bacteria. Ask Your Physician Take your time while looking for a studio to pierce you. Find somewhere professional with proper accreditation. The APP has a listing of all APP-approved piercers on its website. You should also find a place that takes time to answer your questions. If you want a piercing, ask your health care provider about taking an antibiotic just before and after piercing (especially for tongue piercings). If you suspect an infection, contact your health care provider. Talk over the piercing decision with your parents. A growing number of states require parental consent for piercing because these are considered invasive procedures. For more information on piercings, click here.